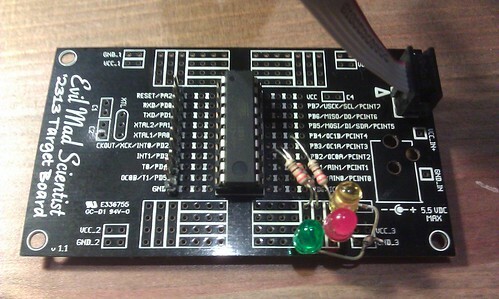 New Arduino blog showing how to play with AVR-Ada and Arduino. Nine articles in 2012, about one per month. Writing articles to the Arduino blog ate my time from this blog, which is why you haven't seen many updates here. I was invited to ACAA Advisory Board, which is a group of people who discuss about ACATS maintenance. Ported GNAT to Debian/armhf so it can be then run on systems like Gumstix Overo. I think Ubuntu people independently ported GNAT to Ubuntu/armhf at the same time and I am not sure what is the origin of the current gnat on Debian/armhf. But anyway, if you have an ARM board running Debian armhf (or armel), you can simply do apt-get install gnat to get GNAT on your system. Co-authored one new paper related to ACATS with Dan Eilers (presented at HILT 2012).